The Burden Museum & Gardens make up a significant part of the botanic gardens of Louisiana State University, in Baton Rouge. The gardens now include specialty gardens, woodlands, wetlands, and arboreta. The Botanic Gardens contain one of the largest private camellia collections in the U.S.A.
Camellias are found throughout the gardens, sheltering under live oaks and crape myrtles. In 2002, more than 450 identified camellia varieties from the private collection of American camellia enthusiast Violet Stone were propagated from cuttings and planted in the Windrush Gardens, part of the Burden complex, in what became the Vi and Hank Stone Camellia Garden. 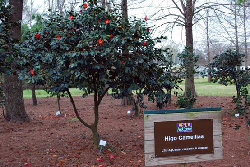 When Stone died in October 2001, she left a Baton Rouge garden brimming with about 500 named varieties and 200 to 300 more unknown or duplicated camellia bushes. With the help of Vi’s daughter Stella Stone Cooper of Paramus, N.J., and ICS U.S. Director Art Landry of Baton Rouge, staff from the LSU AgCenter Botanic Gardens identified and collected cuttings from all but about 30 varieties in the Stone collection. Some of the varieties are rare and valuable, as part of the collection the Stones had accumulated over more than 50 years. Many of them were originated or introduced by the Stones. The Windrush Garden itself includes a historic collection of many of the older camellias popular in south Louisiana. 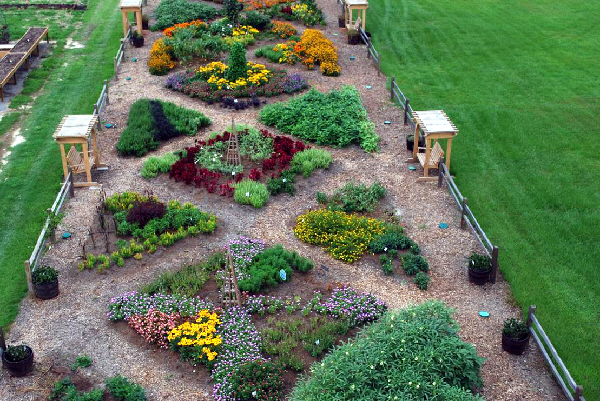 This is the nucleus of a garden of pre-1900 U.S. introductions that is being planted. There is also a Higo oriental garden.